For us Brits a cup of tea is an emblem of comfort and camaraderie. 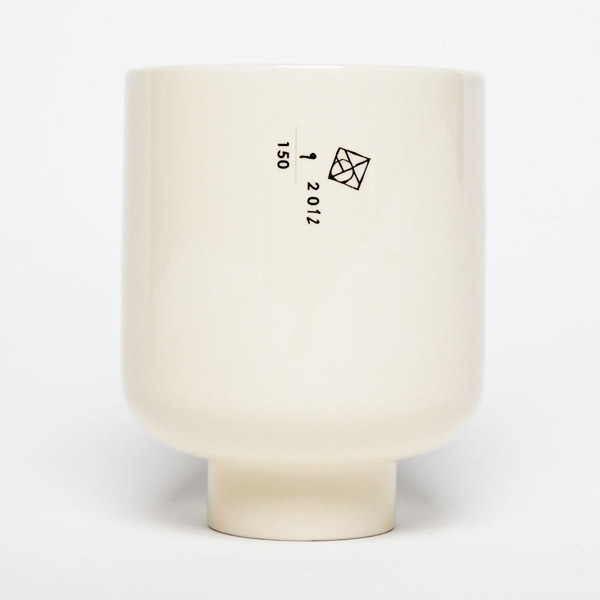 Faye Toogood's Cuppa takes this familiar and much loved item and pares it down to its core elements. They are made in small production runs of 150 as part of her Batch programme, which also includes chairs stools and tables. The unique number of each piece is emblazoned on the side like a traditional ceramic maker's mark that has migrated from the base into full view.